There were only two other people in the cinema when I went to see Jersey Boys this week, a mere five days after its UK opening. Having received reviews ranging from cool to lukewarm, Clint Eastwood’s transfer of the Four Seasons musical from stage to screen has clearly failed to capture the public imagination — unlike the original, which is still running on Broadway and in the West End. I belong to a generation that didn’t have much time for musicals, generally speaking, but I loved the theatrical version of Jersey Boys when I saw it a couple of years ago. The music sounded as good as the records and the staging was genuinely exhilarating. So the film’s first surprise is that Eastwood hasn’t simply tried to replicate the factors that made the stage show a success: he’s gone for something halfway between a musical and a conventional biopic, which is hard to pull off. Here are the two main drawbacks: it still feels unmistakeably theatrical, and there’s surprisingly little music. Great trouble has obviously been taken over the design of the costumes, the sets and the props, and the film’s colours and textures are carefully graded to match the period, but it hardly ever feels real. And in an effort, I guess, to avoid the accusation of having simply reproduced a jukebox musical, the director has used the music only when it functions as part of the narrative (e.g. when they’re performing “Sherry” on American Bandstand or Valli makes his comeback, singing “Can’t Take My Eyes Off You” with a big band in a plush nightclub). Unlike Taylor Hackford’s Ray Charles film, Eastwood doesn’t rely on enhanced versions of the original recordings to underdub the actors when the group are seen performing in a club or a theatre: the performances sound as unpolished and sometimes as weedy as they would have done in real life, deprived of the support of session musicians and studio technology. I ended up quite liking that, although I suppose I’d gone in hoping for the sensation of the original mixes of “C’mon Marianne”, “Beggin'”, “Beggars Parade”, “Tell It to the Rain” or “Dawn (Go Away)” thumping out through a cinema sound system. In its treatment of the group’s early connections to New Jersey mobsters the film is grittier than I remember the stage version being. It’s still hardly Goodfellas, and it frequently lapses into cliché and caricature, but it does have a genuinely outstanding central scene in which the rest of the group discover the extent of the tax and gambling debts they’ve been landed with by Tommy DeVito, their founding member; he is forced out by Frankie Valli and Bob Gaudio, while Nick Massi quits in disgust. In reality Massi left in 1965, after their first run of chart success, while DeVito’s ousting came six years later, at around the time they were dropped by Philips, when the hits had dried up. But it works in terms of dramatic truth, and the showdown exposes the sort of conflicts that anyone who has ever been in a band, at whatever level, will probably recognise. That scene also highlights the real excellence of the central performances by Vincent Piazza (DeVito), Michael Lomenda (Massi), Erich Bergen (Gaudio) and especially by John Lloyd Young, who delivers a nuanced and mostly sympathetic portrayal of Valli. After DeVito’s departure, Valli and Gaudio took shared ownership of the group; the fact that they are named as the film’s executive producers probably guarantees a degree of both authenticity and airbrushing. There is no mention of the line-up (featuring the gifted lead singer/drummer Gerry Polci) that joined Valli for the chart rebirth with “Who Loves You”, “December 1963 (Oh What a Night)” and “Silver Star” in the mid-70s (and it’s a bit dismaying that the first thing the audiences hears, before the titles, is a pianist infuriatingly misvoicing a vital chord in the great intro to “December 1963”). If you’re a fan of the group, the film worth catching while it’s still around, which probably won’t be long. It’s hardly Eastwood’s finest hour as a director, and he doesn’t quite find the thing that would compensate for the missing vibrancy of the stage show, but of course it will send you back home to listen to some enduringly great records. 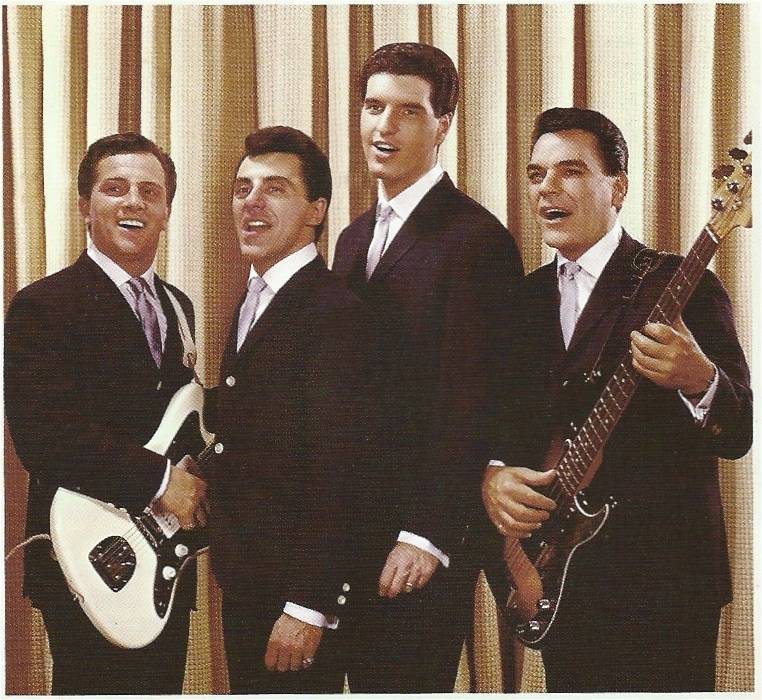 * The photograph of (left to right) Tommy DeVito, Frankie Valli, Bob Gaudio and Nick Massi is taken from the booklet to Jersey Beat: The Music of Frankie Valli and the Four Seasons, compiled by Bill Inglot and released by Rhino in 2007.